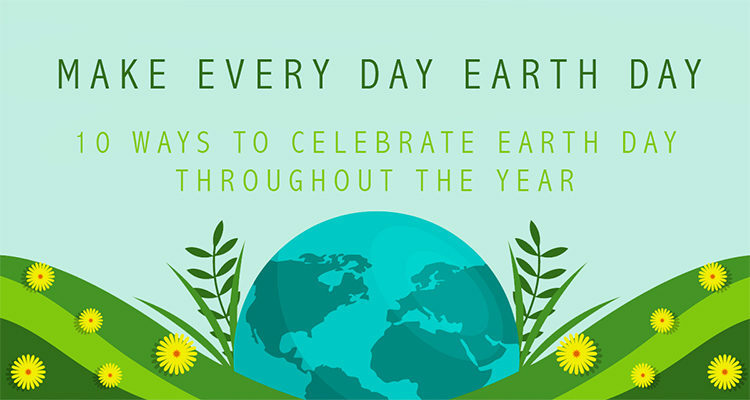 One day a year we take the time to celebrate the Earth and teach our children the importance of treating our planet right so that we can preserve it and keep it healthy for many years to come. But why do we only do this one day a year? We live on this earth 365 days a year so why do we not do more to protect the Earth and teach our children how to take care of it. If you’re looking for some ways to celebrate Earth day with your children even after all of the Earth day celebrations we have a few ideas for you thanks to Natural Child Magazine! Plant a tree! Plant a tree in your backyard or see if you can plant one at your local park! Not only is planting a tree and watching it grow a great experience for a child, but trees provide a home to wild life and reduce greenhouse gas emissions! Craft with nature! There are a lot of fun ways to incorporate nature or recycling into your arts and craft time! Whether it’s making a bird feeder out of pinecones or using recycled plastic and paper into a collage, you can help the environment by making art with your little ones! Start a garden! Planting a garden with your children is not only beneficial to the environment but beneficial to their development as well. Whether it’s a full vegetable garden in your backyard or a few plants on your window sill, growing a garden will be great for you, your little ones, and the Earth! Go natural! There are a lot of recipes out there for all natural household cleaners! Not only will you help the environment by reducing the use of plastic containers and harsh chemicals, but you won’t have to worry about your children helping you clean! Let your little ones have fun spraying the windows and tables without worrying about their health or the impact on the environment! Take a hike! A great activity to do with older children is to go for a hike! If you have younger ones try going for a walk around a park or visiting a local nature preserve! Clean up! Whether it is at your local beach, park, or school, pick up litter! Next time you go to the park with your children bring a plastic bag and together you can pick up any trash you see along the way! Earth Day party! This is fun to do on Earth Day or even randomly throughout the year, have a barbecue or dinner that is all natural! Do your best to use all organic food and no paper or Styrofoam! Go camping! A great way to get in touch with nature is to camp! If you have children that are too young to camp overnight in the woods, camping in your backyard can still be just as fun! Unplug! Try to spend as much of the day as possible without using any electricity! Use candles when it gets late and try not to use any electronic devices. Spend time with your children unplugged by playing board games, reading books, or playing outside! 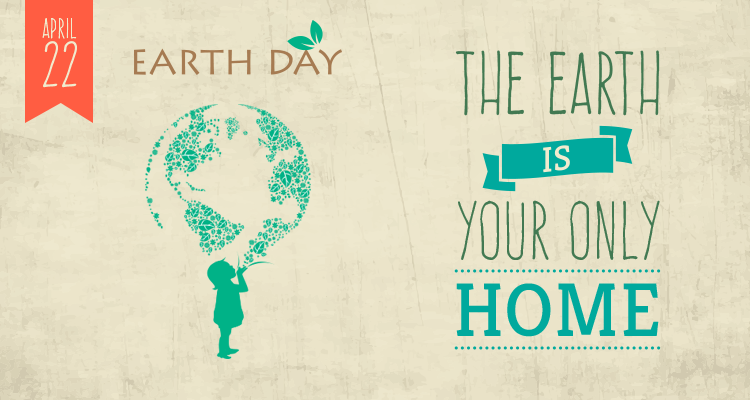 Cherish the Earth everyday! Make an effort to do one good thing for the earth every single day! Let us know if you plan on trying any of these ideas or if you and your family have any ways that you help keep our Earth clean throughout the year! Click the share button on the side of the blog to remind your friends and family about how they can help keep our home clean and happy! 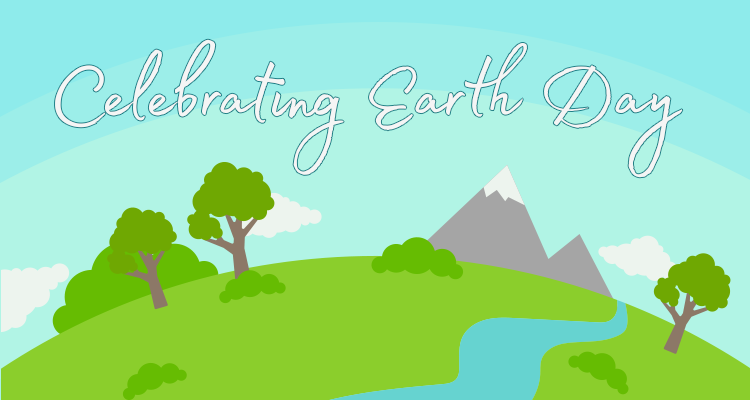 With Earth Day rapidly approaching you may be looking for some local events and fun activities to teach your children more about the Earth, recycling, and conservation. A great event coming around in our area is the ACUA Earth Day Festival. Check out the website for all of the details and a full schedule! When a child is born, parents make sure that they are provided with a healthy and clean environment. Babies are cleaned with the bubbles of baby-safe shampoo, massaged with baby lotion that keeps the skin soft, and showered love and attention that builds personality. The environment that we surround our babies with is neat, clean and well-maintained for a reason: a healthy, happy environment can help ensure a healthy, happy life.